I think I'm officially hooked on SNS, or Dip Powder nails. My first time around I was unsure about the look but I realized that a good nail technician makes all the difference. 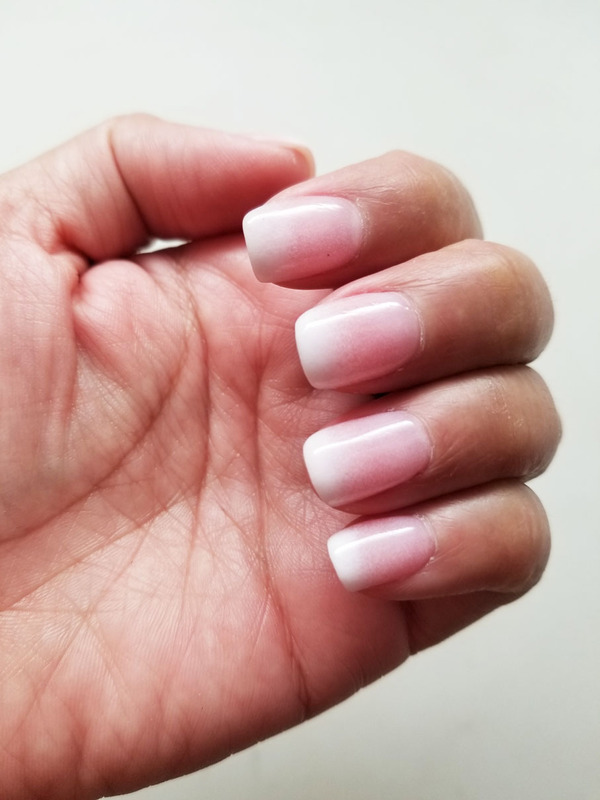 I ventured out and tried out an ombre nail. Check it out! I was in Suwanee, GA and stopped by a nail salon closed to a restaurant we were eating at. I decided to give SNS another shot. It had been 2 weeks so it was time for a redo. My nail technician was awesome. He had a hard time removing my previous SNS white nails because they were so thick. He did a great job of taking care of my cuticles and pushing back my skin so the nails could be shaped. The big difference with him and my last nail technician was after he finished the dip powder process, he spent a lot of time filing the nail shape with a regular file then going in with an electric file to bring down the nail shape and taper it - hence no more chunky edges. The ombre process was pretty neat. 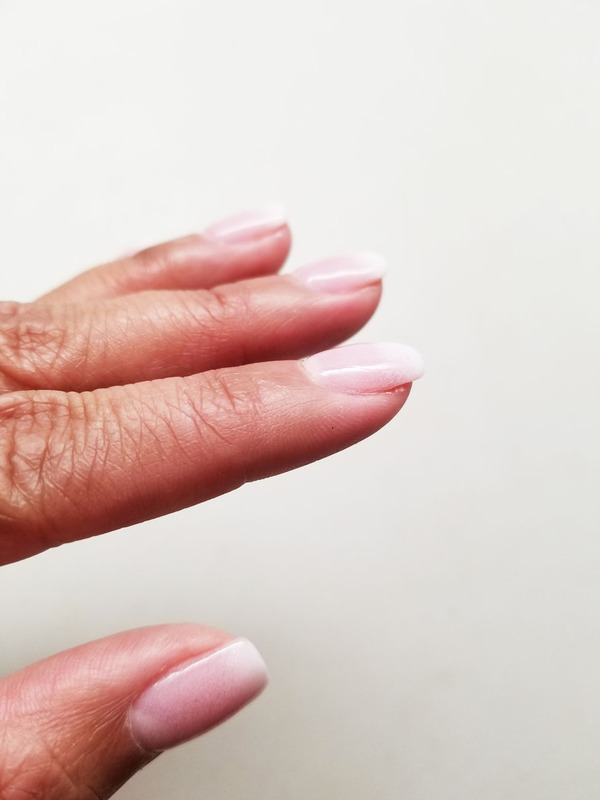 After painting on the adhesive, he took a nail brush, dipped it into white powder and tapped the brush above my nail so the powder would lightly dust the top. He repeated it a few times. Then he applied the adhesive and dipped my nails in the pink. 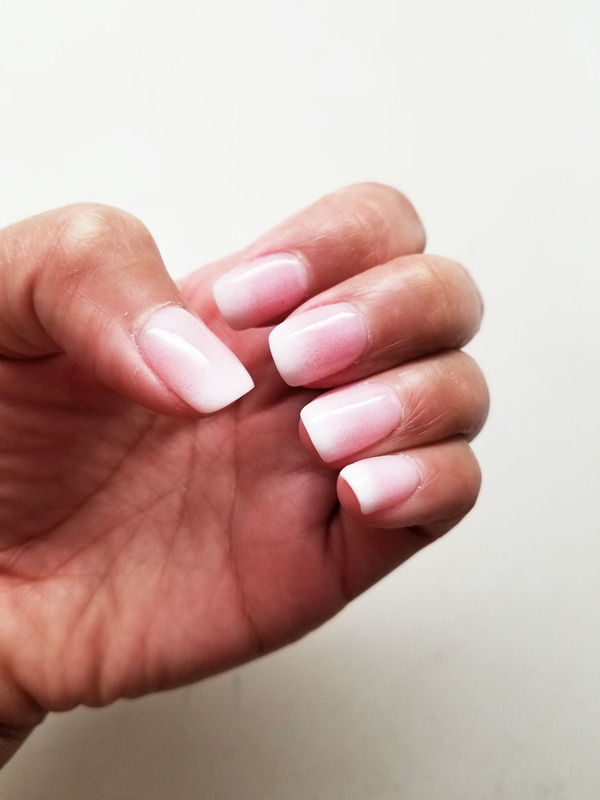 I love this super chic ombre but I'm not so sure if I love square nails on me. They still look kinda big and like I'm wearing tips. What do you all think? Let me know in the comments below.